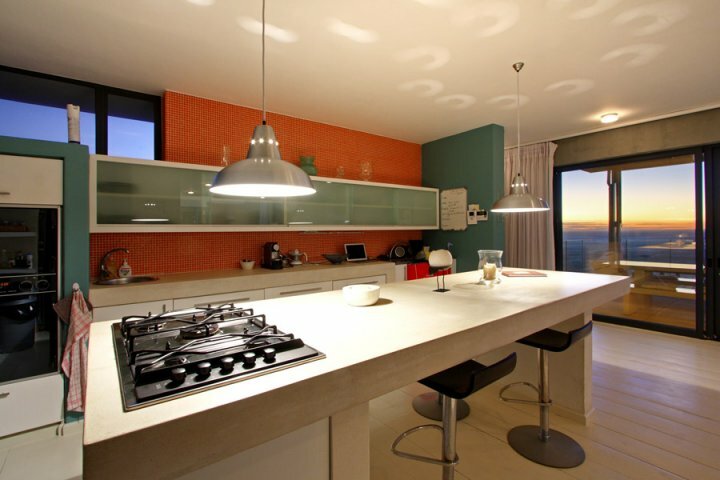 Why stay at LLANDUDNO GLOW VILLA? 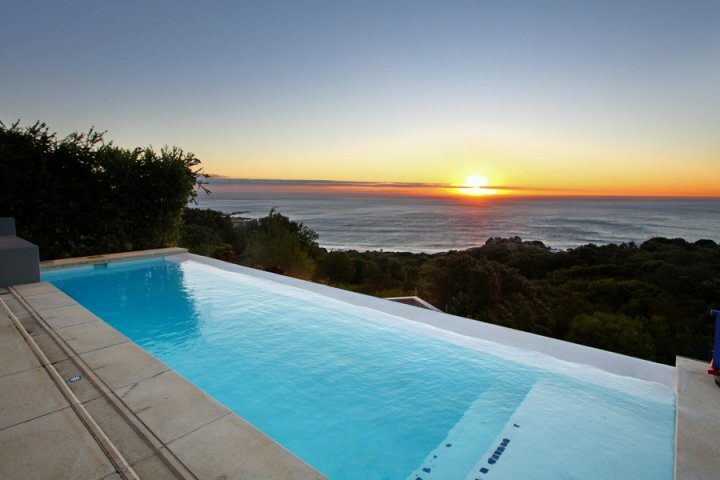 Llandudno Glow Villa is a spacious and secluded 4 bedroom luxury villa with uninterrupted views of the Ocean. 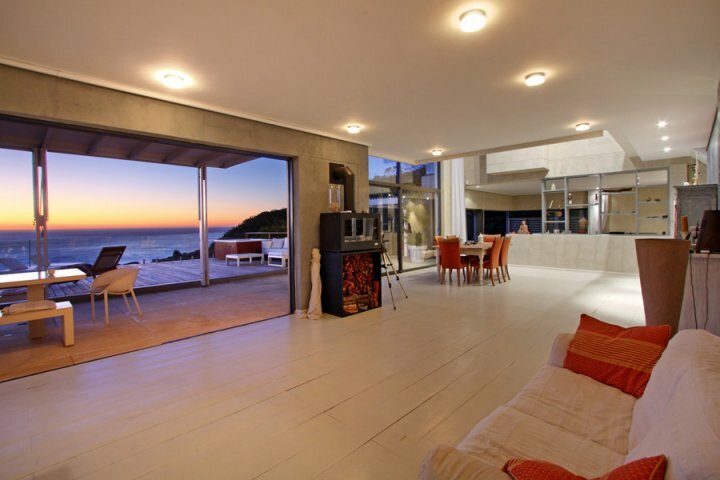 This Designer Villa is just minutes away from most prized beach for surfers and fashion shoots: Llandudno Beach. 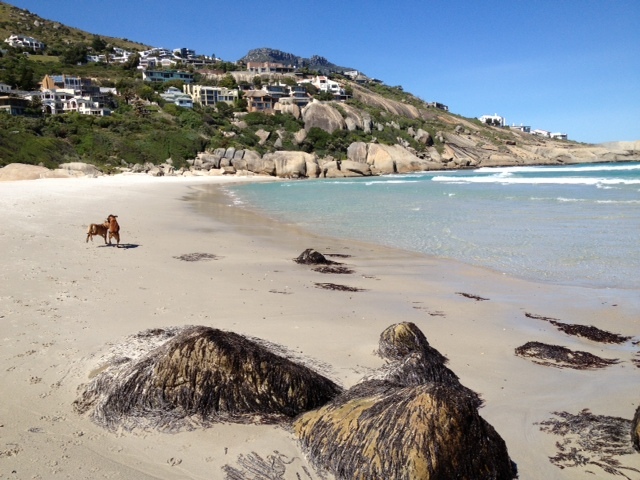 Its also just 10 minutes drive away from the buzz of popular Camps Bay. 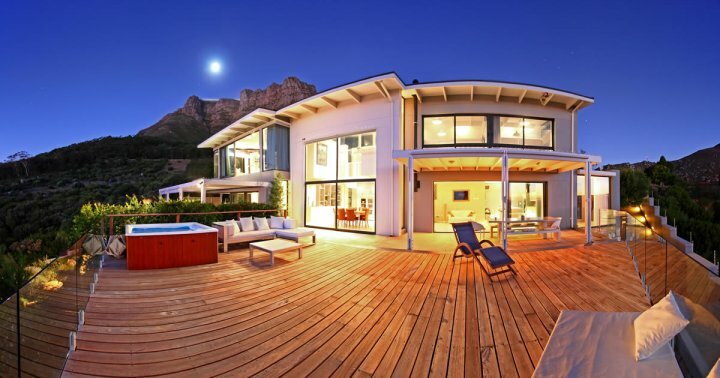 Perfect for those seeking privacy and peace of mins, the villa is surrounded on 3 sides by a nature reserve (the Table Mountain National Park) the house is fit for celebrities and families alike. 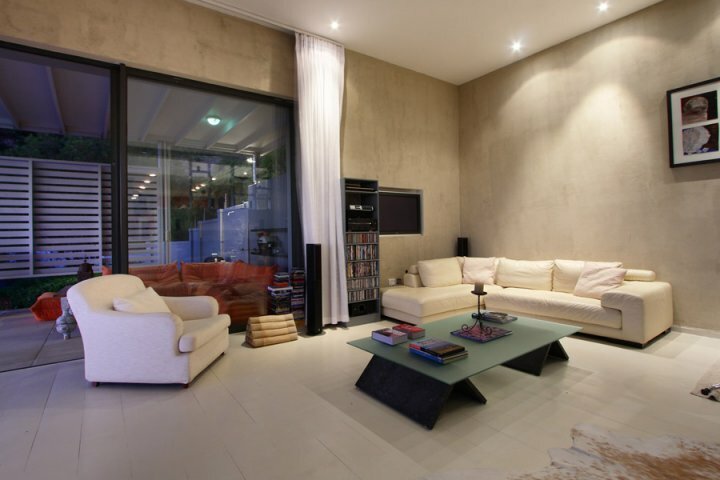 This Villa prizes Views, Space and Tranquillity, as well as the peace of mind from top security. With ample on-street parking (as well as off-street parking consisting of two covered bays and space for more cars outside the Garage Doors) Llandudno Glow is an entertainer's dream. 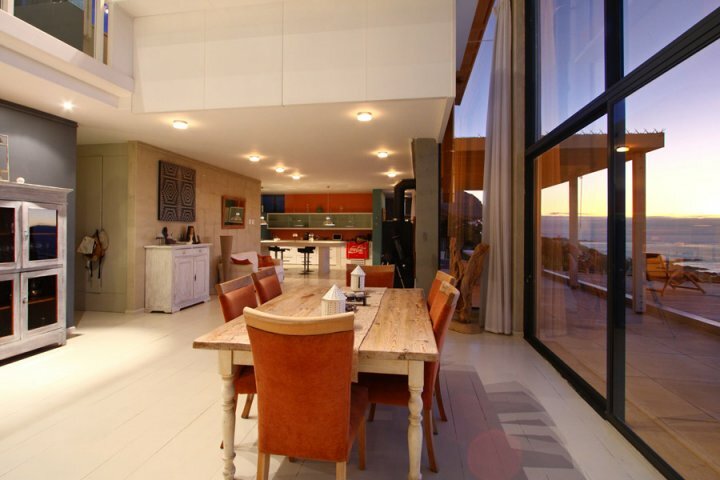 Set on two levels, high on the hill at the end of a Cul De Sac, Llandudno Glow immediately makes a great first impression. 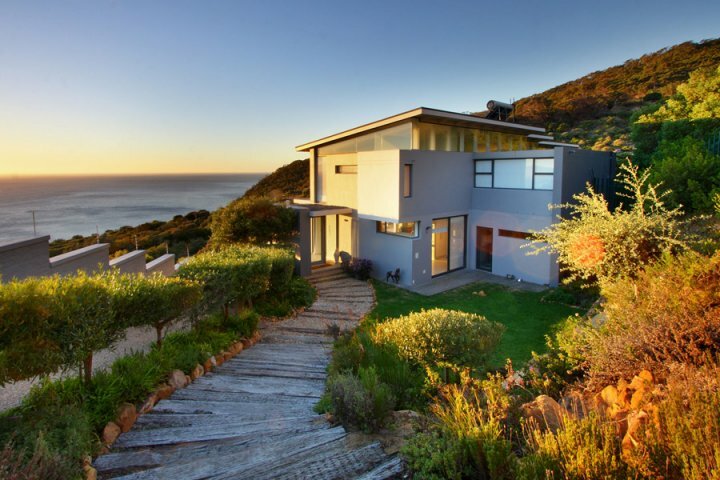 After walking down steps through a landscaped garden and passing a Khoi Pond, one enters a Villa which impresses with it’s style and large glass sliding doors overlooking the Ocean. 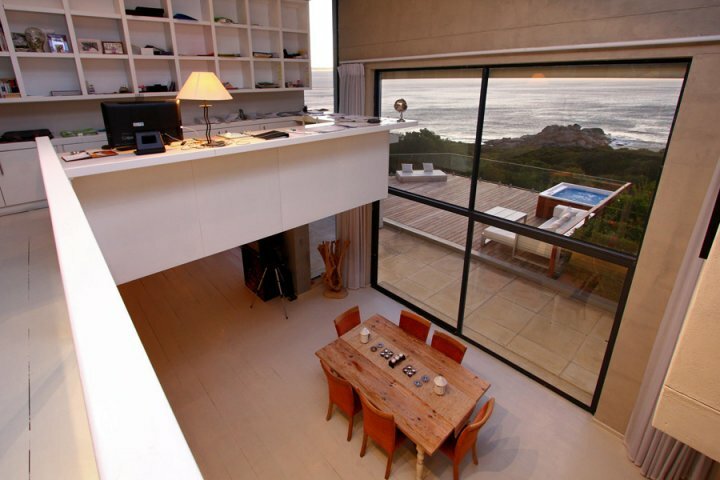 Downstairs, the open plan space puts the accent on the views, and one flows freely from the open-plan kitchen, through to the dining room, and down a few steps to a relaxing living room with flat screen TV and fireplace. 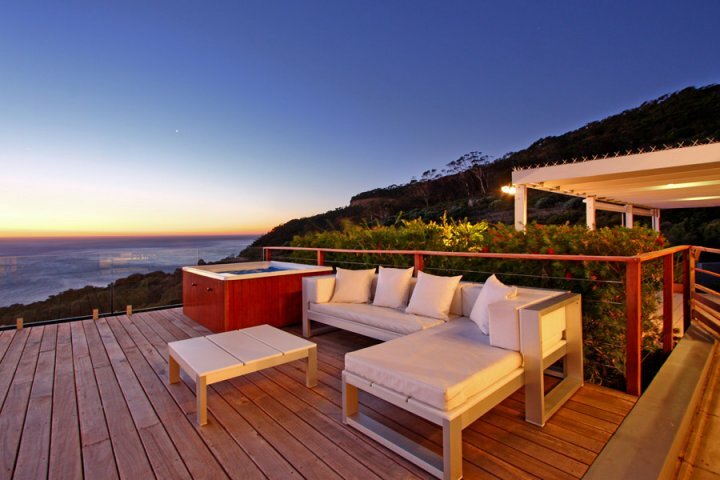 Open the sliding doors and you are greeted by a wooden Deck from which to contemplate the Ocean, an outdoor entertainment area with a Jacuzzi, and on a lower level is a swimming pool and an outdoor lounge with outdoor furniture. 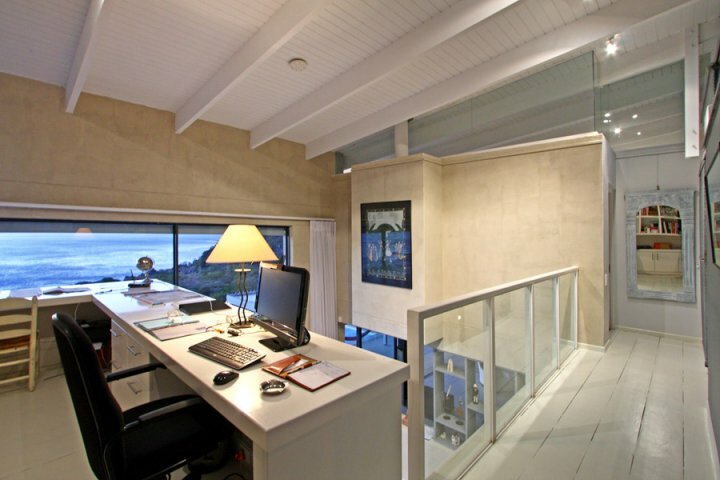 Upstairs are the 4 bedrooms and an office overlooking the Lounge below. 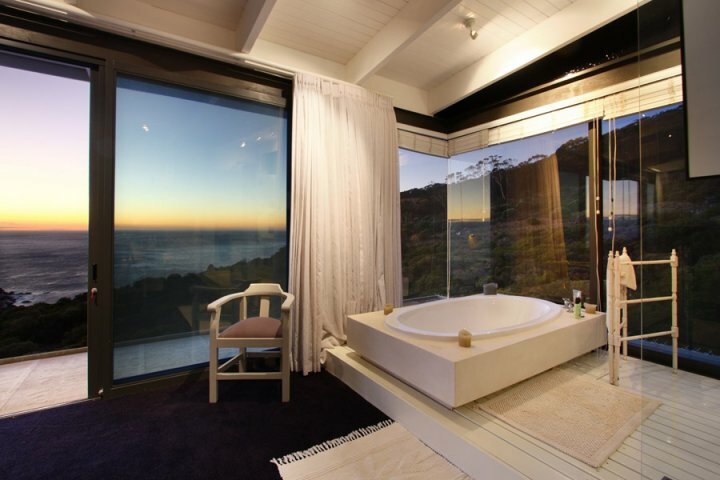 The master bedroom is en-suite and offers ultimate privacy overlooking the Nature Reserve and the Ocean. 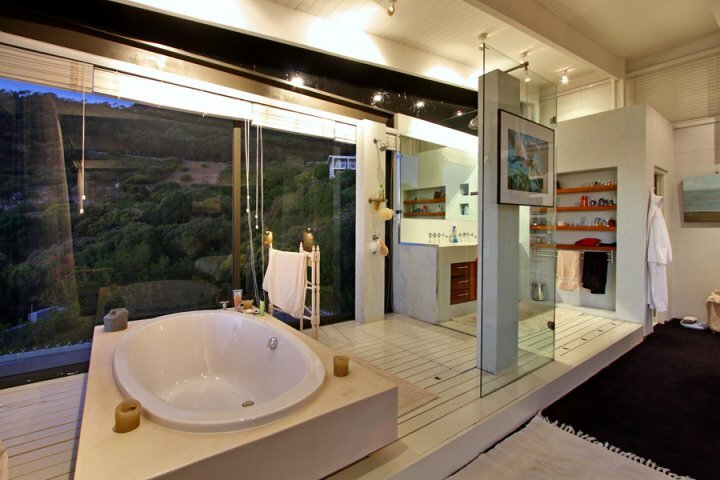 The 3 Other Bedrooms (One with it's own shower, the two others sharing a bathroom) are perfect for Friends or Families. 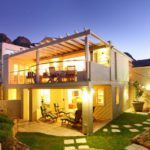 The state of the art security features cameras, alarms, and a steel gate at the top of the stairs leading to the 4 bedrooms. 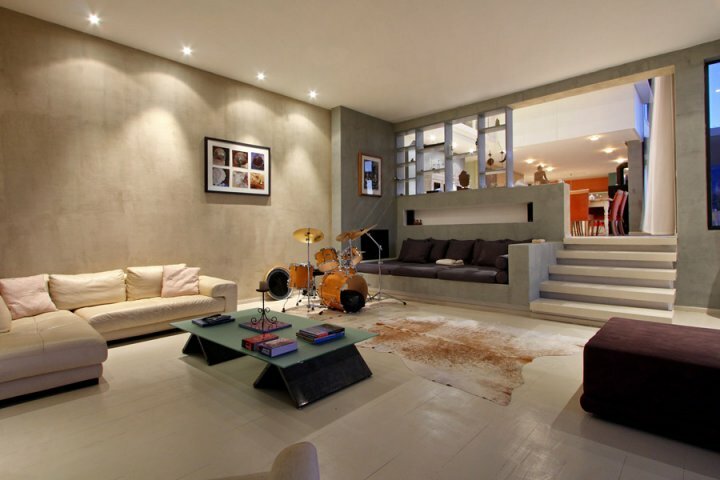 The decor is warm, minimalist and keeps Feng-shui principles in mind. 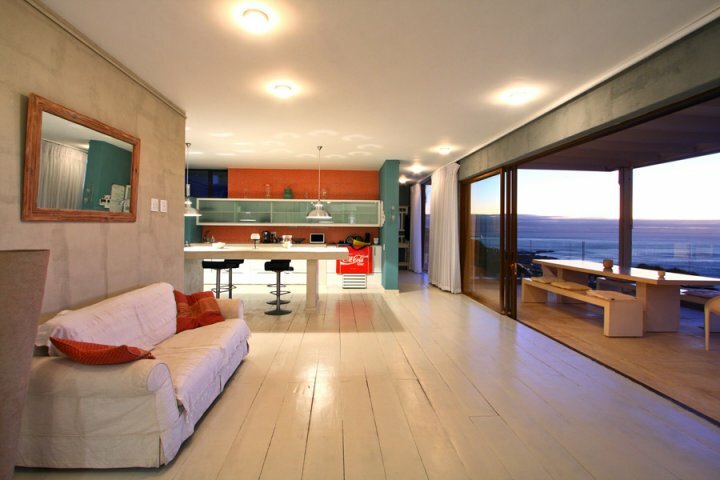 White wooden floors and concrete furniture make this a Holiday home worthy of being featured in décor Magazines and as a background to Fashion Shoots (which it has numerous times). 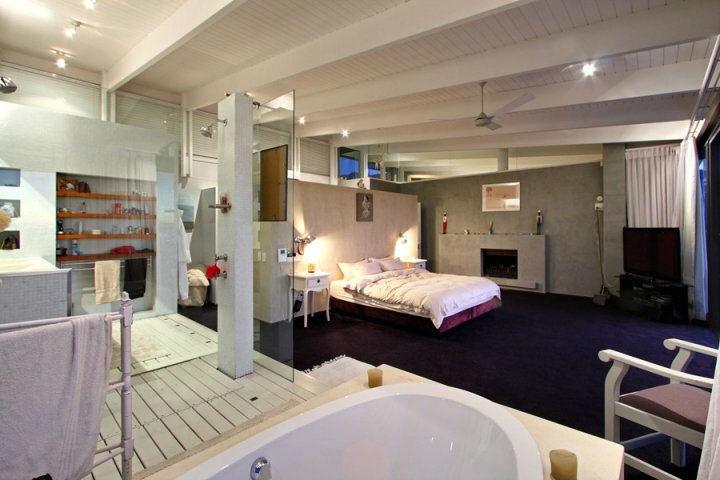 Main Bedroom – king size bed, en suite with sunken bath and shower, flat screen. 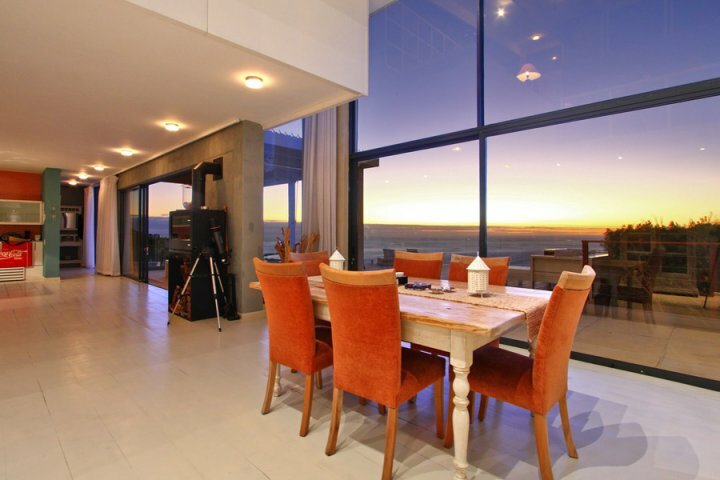 Has mountain and sea views and has a aircon and fire place. 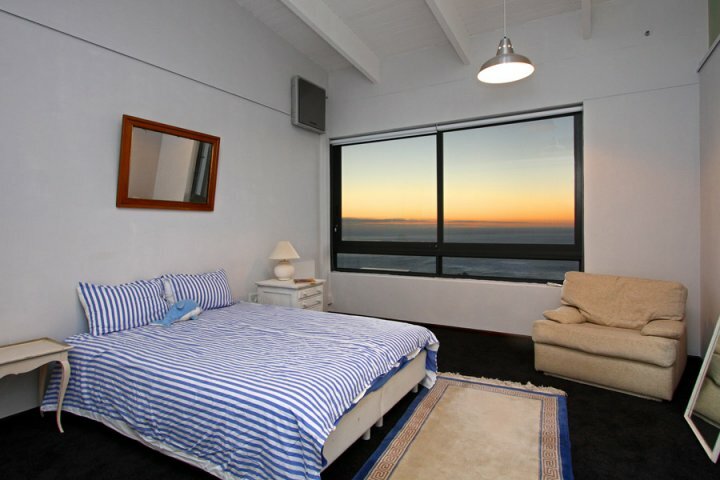 Second Bedroom – double bed, separate bathroom with shower has sea views and an aircon. 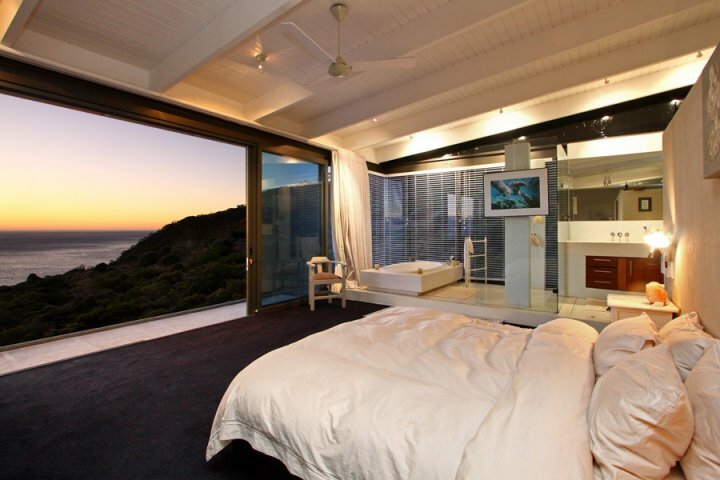 Third Bedroom – queen size bed, open plan shower and aircon. 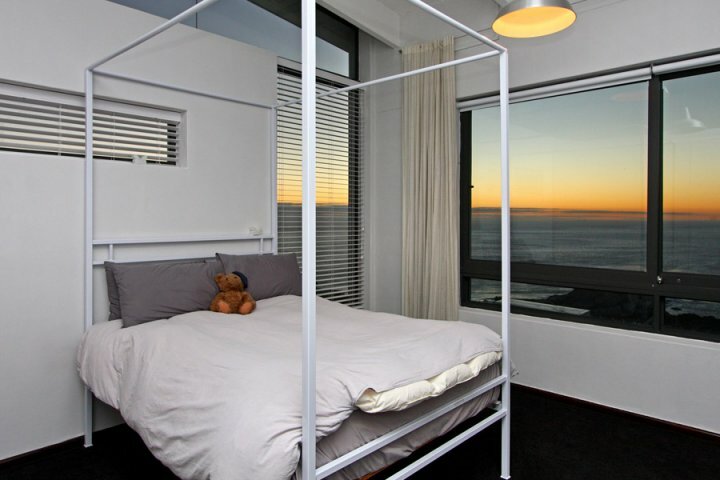 Forth Bedroom – king size bed, shares bathroom with second bedroom, has aircon and sea views. 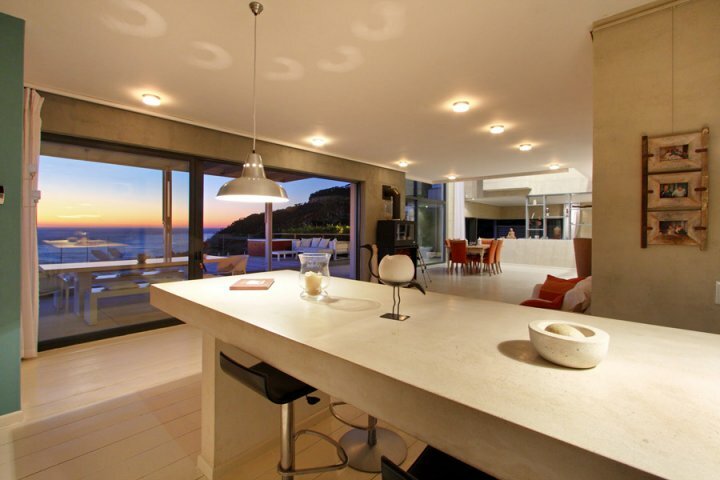 Shops +- 7 min drive to Hout Bay or Camps Bay. 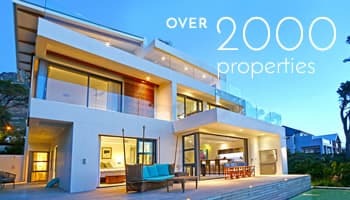 Cape Town City Centre +- 25 min drive. 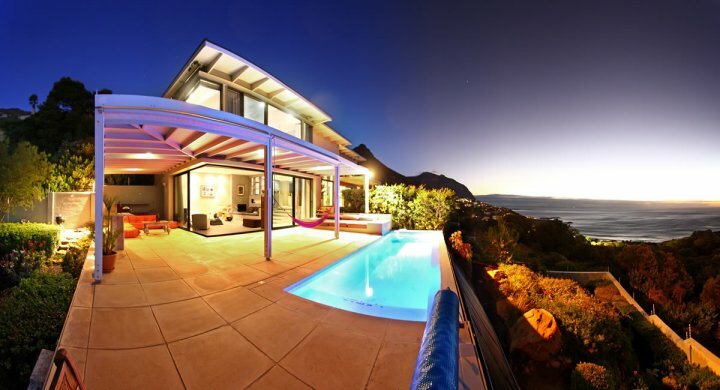 Ready to stay at LLANDUDNO GLOW VILLA?